By chance I stumbled on a Wikipedia article about Allah Jang Palsoe, an Indonesian stage play, dating from 1919, by Kwee Tek Hoay. The title translates as False God and is about two brothers who discover that money does not bring happiness. Despite the fact that the original idea came from a short story by E. Phillips Oppenheim, a westerner, it is a truly Indonesian work and is still sometimes performed. Reading the article I realised I know practically nothing about Indonesian theatre, or other literature. I have heard of the puppet theatre and have even seen extracts on TV, but that’s the extent of my knowledge. I strongly suspect that Indonesians know much more about our theatre than we do about theirs: they may even read Shakespeare in school. My ignorance probably extends to numerous theatrical traditions, and it seems such a pity to miss so much. Another topic to add to my ‘to be googled’ list. I don’t know that I have a favourite here because without thinking very hard I can’t recall many films made from books that I’ve seen (this doesn’t count the ones made from books I haven’t read – there are probably a lot of those). 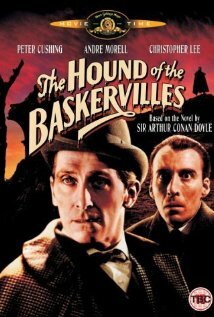 However, I do very vividly remember the Hound of the Baskervilles – book by Sir Arthur Conan Doyle, film starring Peter Cushing, Andre Morell and Christopher Lee. I have to admit that one of the reasons I remember the film so well is that it’s the one that taught me not to expect the ‘film of the book’ to be as good as the book. Hound of the Baskervilles isn’t a favourite book of mine but is certainly one of my favourite Sherlock Holmes stories and I love it’s title. Baskerville is a great name and if it wasn’t so well known I might be tempted to use it for one of my own characters. And who doesn’t love a mysterious giant animal? The hound comes from the same stable as the Loch Ness Monster and the Beast of Bodmin Moor. In doing the research for this blog I came across a new-to-me word – cryptid, which, according to Wikipedia, is what Nessie is. It’s nice to think of our world secretly harbouring hoards of cryptic creatures, too shy to be discovered by science but feeding the imagination all over the world. I don’t know how long I’ve had this book. It came to light when we moved house. It was published in 1984 but I don’t think I’ve had it anything like that long. It’s probably one I picked up in a charity shop or event. Forgotten it may have been, but having found it, I’m grateful for it. It’s a charming read. It’s Arthur Marshall‘s autobiography, up to the point where he started appearing on Call My Bluff. If you’ve never seen this, you’ve missed a treat. It’s a TV quiz about words and their meanings and is peopled by entertaining broadcasters and their guests. It’s a book of smiles. Despite the quotes from the famous on the cover claiming it to be hilarious there were only a few places where I laughed out loud. But there was a smile, not to say a grin, in almost every paragraph. The world the author grew up in, starting before WW1, is long gone, but appreciation of the humour in life transcends time. Mr Marshall certainly saw humour wherever he went. A tendency to laugh at the slightest excuse got him into trouble several times. He introduces an array of characters, famous and unknown, and we learn nice things about all of them – if the author knew any horrid people he didn’t write about them. His life was varied and eventful, including several jobs, service in WW2, a devotion to the theatre both professional and amateur and a lot of broadcasting. I recommend this book to anyone who likes to smile broadly, laugh loudly and see the nice side of their fellow people. I have a wonderful book – Poem for the Day edited by Nicholas Albery. Not only does it give a poem for each day of the year (plus leap year), but also a whole collection of poetry-related snippets. Today is the anniversary of the death of Aphra Behn (1640 to 16th April 1689). What a lady! In a relatively short life, by modern standards, she fitted in travel, marriage, widowhood, work as a spy and a stint in debtors’ prison, as well as writing plays, novels and poems. She was one of the first women to earn enough by writing to support herself. She was sympathetic to Catholics (at a time when Catholics were seriously unpopular), and was one of the first to write against the horrors of slavery. them the right to speak their minds. Like many other famous spies, there are mysterious gaps in her biography. These have allowed later authors to invent incidents and include her in their stories. She even appears in the science fiction series Riverworld by Jose Phillip Farmer. Most of her poems are about love. Love Armed, below, is one of the shorter ones. Enough t’ undo the amorous world. And every killing dart from thee. Whilst thine the victor is, and free! I sent for the CD I wrote about in a previous post on this subject and have just listened to it. Before listening I read the accompanying booklet and I’m glad I did (usually I listen first and then find out what I should have known after). It explains what evidence the OP (Original Pronunciation) is based on and describes some possible regional variations of Shakespeare’s time. It also gives pointers as to what to listen for. 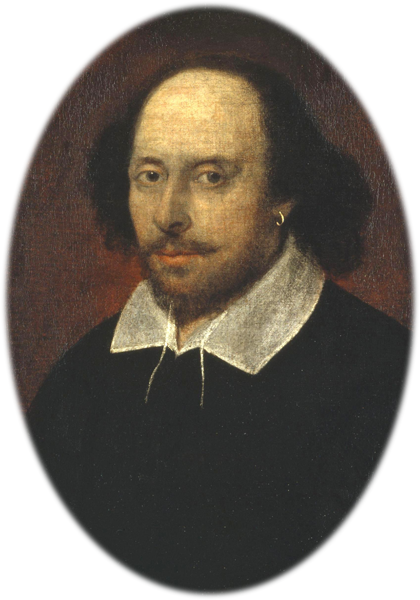 To me the accent sounded vaguely Midlandish – not surprising since that was where Shakespeare came from. However, as the booklet’s author (Ben Crystal) points out, it is not exactly like any modern speech. The disk contains twenty eight tracks from the sonnets and plays, well chosen to cover a range of mood and speaker, and beautifully performed. A few things surprised me. First was how quickly I adapted to OP. A couple of tracks and it stopped sounding strange. If I ever see a whole play, by the end of the first act I probably won’t notice. Second was that, to my ear anyway, there was no difference between the kings and aristocrats and their servants and followers. Third there were no words I couldn’t understand – I had expected a few instances of ‘what’s that word?’. I also noticed for the first time how many words in English end in –ion. This was the only feature that leapt out at me for several tracks, as the ending of words like possession, consummation etc were pronounced really differently. After a while I stopped noticing until we got to the extract from Julius Caesar. Antony’s talk with the plebeians contains many repetitions of the word ‘ambition’ and they poked out of the surrounding speech with a strength and force I’d not noted before. Is this an effect Shakespeare intended? or is it the result of my modern ear? I can’t say this disk made me reassess any of the plays or sonnets. I have found that any short extract from them, well recorded, can give me that ‘now I really understand that’ thrill. But it is an enjoyable disk and an interesting experience. I look forward to the OP movement spreading and giving us more performances. For a taster of the disk you can go to The Telegraph review and listen to a snippet of Romeo and Juliet. The disk is available from the British Library shop. I’ve just read the news that The British Library is releasing a CD with excerpts from The Bard’s poems and plays in the original pronunciation. Apparently this is the first commercially available recording of Shakespeare as he really sounded. Over the years there has been a lot of research and I suppose scholars are getting closer and closer to the true voice of the time. The article on the British Library website doesn’t mention how the research is done. Years ago I attended a live reading of what was supposed to be Shakespearean pronunciation. It sounded odd but was understandable. The way the plays sound has undoubtedly changed several times over the centuries – what seems odd today may be common tomorrow. We already have ‘authentic’ performances of old music. Perhaps in the future there’ll be a movement towards ‘authentic speech’ productions of plays. I am definitely going to buy the CD (available from the British Library Shop); I’m a sucker for any unusual literary items. The picture is a public domain one from Wikimedia Commons.